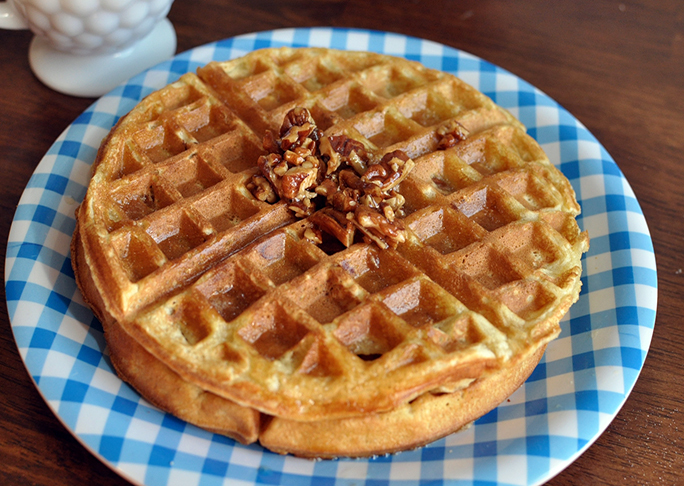 Waffles are one of those breakfast dishes that always feel special. Whether you make them at home or order them out, there’s something comforting about a batch of light and crispy golden waffles. In my travels I’ve had the pleasure of eating out at a Waffle House, and my kids and I have always enjoyed the taste and texture of their waffles. 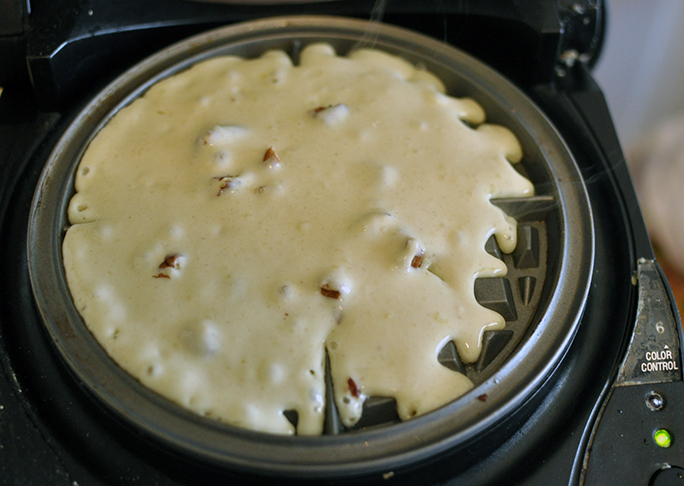 I don’t live near a Waffle House, so I had to try my hand at making a this copycat Waffle House Pecan Waffle recipe. It tastes JUST like the real thing! 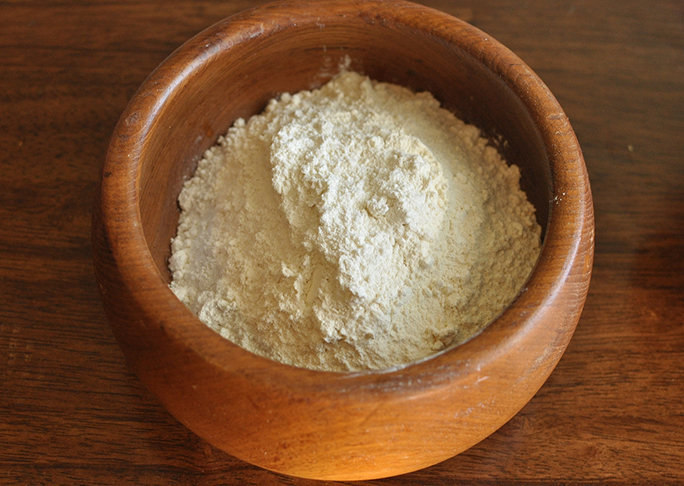 Step 1: In a large bowl whisk together flour, salt, and baking soda. 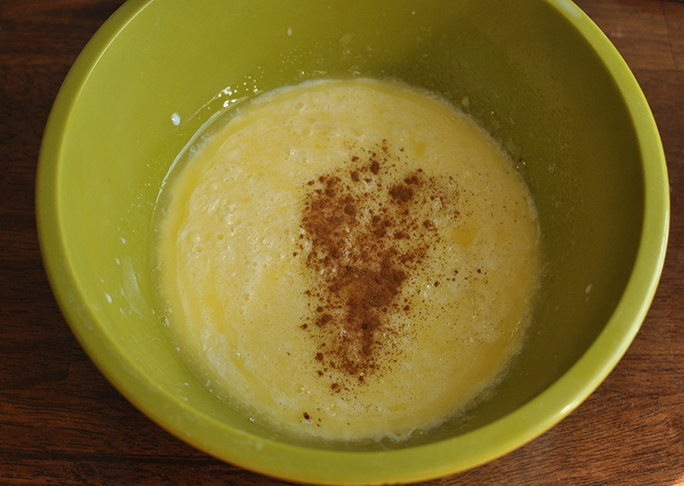 Step 2: In a another bowl, whisk together egg, sugar, vanilla, and butter until smooth. Step 3: Combine the wet and the dry ingredients and stir until just combined. 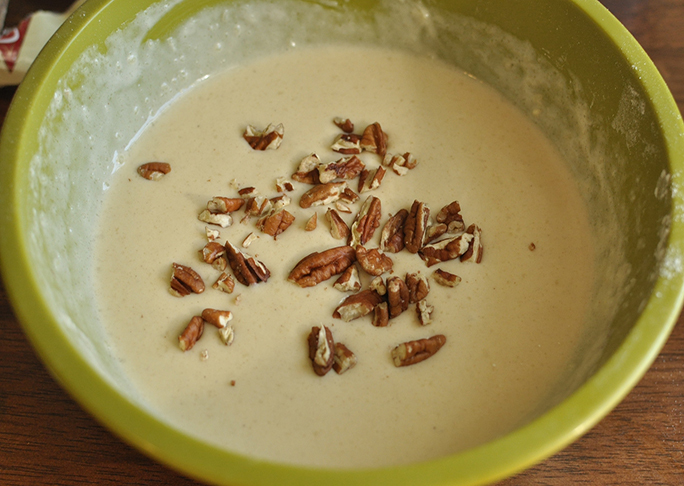 Add in ⅓ cup of the chopped pecans. Note: Batter can be used right away or covered and refrigerated overnight for use the next day. 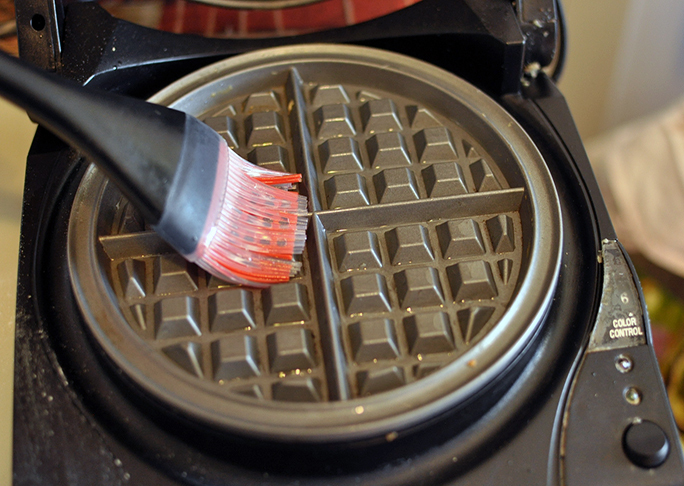 Step 4: Brush a light coating of canola oil onto waffle iron and preheat. Step 5: Spoon ⅓ to ½ cup of batter onto waffle iron and cook according to waffle iron's directions, about 3-4 minutes or until light golden brown. Step 6: Top with maple syrup and pecans.